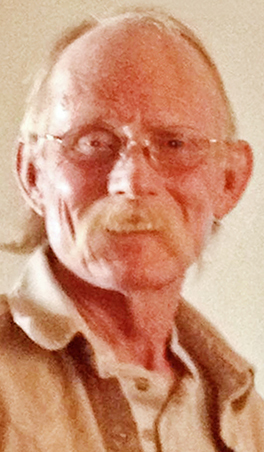 Mitchell Joe Bagwell left his earthly home to go to his heavenly home Friday, Jan. 4, 2019, in Artesia. He was born Oct. 28, 1965, in Hobbs to Joe and Rose Bagwell. Mitch was a graduate of Lovington High School, Class of 1983. He was a talented mechanic and heavy machinery operator. He loved the outdoors and all they had to offer, such as hunting and fishing. He had a true passion for ranching. His family likes to envision him sitting at the dining room table, having a pot of coffee with all of the loved ones he had missed all of these years, free from pain and smiling that smile we will all miss so much. Survivors include his beloved daughters, Samantha Bagwell Tinker and Elisha Raye Bagwell, son-in-law Bran Tinker, and his beautiful granddaughter, Ridgelea Rose Tinker, all of Artesia; sister Pamela Dallas and husband Craig of Tatum; brother Russell Bryant and wife Delia of Clovis; and many nieces and nephews, as well as great-nieces and great-nephews. He has also left behind a sister, Donna Koskinen, of Phoenix, Ariz. He was preceded in death by his parents, Joe and Rose Bagwell, of Comanche, Texas; sisters Gail Rivera and Betty Jean Hay; and brother Richard Wayne Bryant and Michael Dale Bagwell. Graveside services have taken place at Garden of Memories Cemetery between Comanche and De Leon, Texas. Pallbearers were Bran Tinker, Craig, Jared and Patrick Dallas, and Russell and Cody Bryant. A memorial service is scheduled for 2 p.m. Saturday, Jan. 26, at the Eddy County Fairgrounds indoor horse arena. In lieu of flowers, the family requests contributions be made to a Go Fund Me account for funeral and medical expenses. The account is listed as the Mitchell Joe Bagwell Funeral and Medical Fund.